The Morning and the Evening by Joan Williams, 1961, re-published 2014 as e-book by Open Road Media, 214 pp. From time to time, I receive requests from authors and publishers to read and review their books. Almost always, the books are nothing of interest to me–self-published novels or works of Christian writers whose theology is likely far different than my own. I decline politely, because I just don’t have time or energy to read books I don’t want to read, and I know that the author or publisher is not likely interested in an unfavorable review anyway. This book by Joan Williams was an exception, and I’m so glad the folks at Open Road Media reached out to me. The Morning and the Evening was originally published in 1961, when it was among the finalists for a National Book Award. Williams was an inspiring young author who was deeply influenced by William Faulkner, with whom she carried on a lengthy affair. I love Faulkner, and regularly use the National Book Award nominees as a means to find quality fiction, so I decided to give this a try. It was a huge gift. The Morning and the Evening is the story of Jake Darby and the people of Marigold, Mississippi. Jake is a 40-year old mute whose lives a simple life with his mother. Because he cannot communicate, it’s unclear to those around him just how much Jake comprehends about his world, if anything. Williams allows us to glimpse inside Jake’s world from his perspective, where we see the world through his simple eyes–what he sees, senses, observes, which is limited to only one thing at a time. The book is as much about the people of Marigold as it is about Jake, and especially their relationship with him. We watch as some people treat Jake with kindness, others with cruelty, others with indifference or annoyance. Some even fear him. When Jake’s mother dies, the townspeople must figure out what will become of Jake. Williams invites us into their lives too, their sins and hopes and sorrows. Each one is crafted with care and depth, no stereotypes or archetypes anywhere to be found. Williams writes stories of ordinary women that no one notices, and each one is unique. Her African-American characters don’t quite avoid stereotypes and rise to the same level of sophistication, but they are not flat either. I loved this book from beginning to end. The characters were likable and relatable, and the plot unfolded in a compelling way with the tension about what would happen to Jake. I cried when it ended, and I wanted to stay in Marigold and hear more from these characters I had met along the way. Williams’ writing is exquisite. I saw the Faulkner connection through the character of Jake, reminiscent of Vardaman Bundren in As I Lay Dying or Benjamin Compson in The Sound and the Fury, and in the small-town Mississippi cast of characters. I was also reminded of Olive Kittredge by Elizabeth Strout, with the way that the various character’s stories all interacted with Jake’s. However, Joan Williams has her own voice and style that is simple and beautiful. I am grateful that Open Road Media has made this book and the rest of Joan Williams’ collection available again via e-book. I have another Williams book they sent me to review, and I can’t wait to get to it. You should head over to Amazon and add it to your e-reader now. 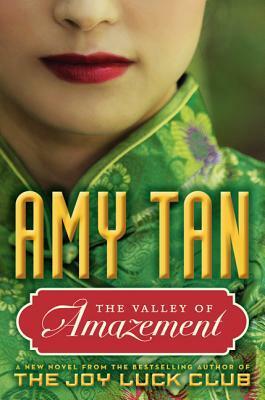 The Valley of Amazement by Amy Tan, HarperCollins, 2013, 589 pp. This is Amy Tan’s most epic novel to date. As always, she crosses generations and continents, with a dual emphasis on relationships between mothers and daughters, and the coming together of Chinese and American cultures. Unfortunately, the epic length of this book is not supported by a story or characters worthy of nearly 600 pages. While it was a good story, well written and new, it felt slow and excessive, like it was altogether too much information. I would have adored the story if it had been less than 400 pages (and, yes, I think it could have been told just as well in that span–somethings were just unnecessary). Even so, Tan’s writing and a compelling setting saved the day. The story centers on Violet, a young girl who is the daughter of a Chinese man and American woman, being raised in a first-class courtesan house in Shanghai at the beginning of the 20th century. Her mother, Lulu/Lucia/Lucretia, is the owner of the courtesan house, which specializes in bringing together Western and Chinese businessmen. Her mother partners with Golden Dove, a Chinese courtesan who helped her start the business. Violet and her mother never find an easy intimacy as mother and daughter (this is an Amy Tan book, after all). MILD SPOILERS HERE: Events when Violet is 14 lead to a forced separation, as her mother sails to America and Violet is sold as a courtesan. A former courtesan from her mother’s house, Magic Cloud, becomes her companion and advisor. The book then explores the way a particular pattern of both circumstances and attitudes plays out across three generations. Most of the story is Violet’s, and the book would have been better if it had remained so. The lengthy back-story about Lulu was interesting, but it could have been told with much greater brevity. The back-story of the third generation in the last 100 pages felt wholly unnecessary (to avoid spoilers, I won’t tell you whether it’s Violet’s daughter or grandmother). None of the main characters (Violet, Lulu and the additional generation) were exceptionally memorable or compelling. It was the two supporting characters–Golden Dove and Magic Cloud–who are the most interesting and compelling. There are a cast of male characters, too, with some good stories and backgrounds. What made the book worthwhile was the setting. Amy Tan did extensive research into life in Shanghai in the early 20th century, into the roles of the courtesans, into life in Chinese farming villages, and more. She does a beautiful job of capturing that world and bringing it to life. In my imagination, I could picture everything she described–the rooms, the streets, the mountains, the men and women in the courtesan houses, even the subtlety of gestures and silent acknowledgements. I felt the strain and restraint of the prescribed roles in Chinese families and society. That part of the book is masterful, compelling, and fascinating. I enjoyed it very much, even as found myself wading through much of the rest. The Valley of Amazement would have benefited from a more rigorous editor, but it’s still worth reading, if you’ve got the time to read a really good 400 page novel that lasts for 600 pages. 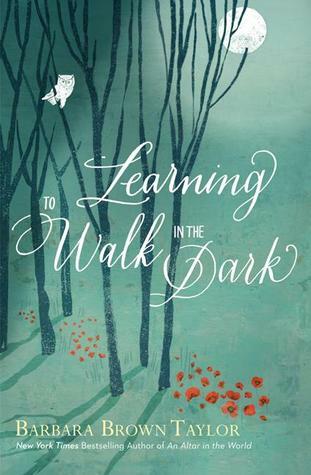 Learning to Walk in the Dark by Barbara Brown Taylor, HarperOne,2014, 200 pp. This book was not what I expected. As always, because it is Barbara Brown Taylor, it was beautifully written, with deep observations and insights, God-tinged at every turn. However, I expected darkness in this book to be far more metaphorical. Taylor’s previous two books, Leaving Church and An Altar in the World, were about her journey into a new and unexpected future outside of traditional ministry and church. I expected this to be an exploration of that new and unknown reality. However, Taylor–ever ready to surprise–responds to her quest with an engagement in real, physical darkness. She literally walks in the dark, in a variety of ways, and then reflects on what she has learned. One important note (which probably would be more fitting at the end of this review, but preoccupied me and might preoccupy you, so I’ll address it first): How does Taylor address the historic dualism between light and dark, which expands to divide white and black, male and female, good and evil, with one side of the duality always paired with good and the other evil? That equation of darkness with evil has deep implications in the systemic racism, fear and distrust of people of color throughout the world. To neglect addressing it would be to perpetuate it. Taylor does address it, and quickly. While I would have liked more depth in her examination of that painful history in metaphor and reality, she does not ignore it and handles it enough to make me continue reading without a feeling that something important was unacknowledged. More, though, the whole book itself turns out to be a reclaiming of the dark as a place of beauty, a place of God. 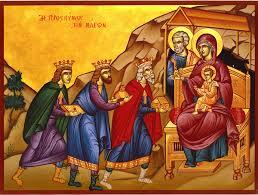 The fundamental trajectory of the book is her insistence that God is not only light, God is also dark. God dwells in the darkness, not just to illuminate it, but because darkness is also of God and a path to God. So, in the end, her book contributes helpfully to overcoming that anti-darkness legacy, even though I still would have welcomed a more explicit unpacking of that particular part of history. Darkness is the perfect source. The subsequent chapters look at the scriptures for important events that take place in the night (there are many–think of how much God speaks through dreams); at the ways we are “hampered by brilliance” and need the darkness of night to thrive; and the so-called “dark emotions.” She explores the work of psychiatrist Miriam Greenspan, who sorts out the differences between depression and “dark emotions.” The problem is not the emotions themselves; it is our inability to tolerate them. Later in the chapter, she discussed the work of Ken Wilber, who talks about the different functions of religion as translation (helping people understand and find hope in their hardships to strengthen their selves) and transformation (dismantling the self and dislocating comfort). In American culture, “translation is being marketed as transformation, which is why those who try to live on the spiritual equivalent of fast food have to keep going back for more and more.” (88) I have found this to be a key part of my own ministry. I am often the only person in situations of grief or tragedy that is comfortable sitting with the person in their sorrow, not attempting to fix anything or even hurrying them through or making things easier, better, comforting. As Christians who follow a God who died on a cross, I think we should be far more skilled at being present to discomfort and suffering than we are. Taylor then moves into more physical experiences of darkness, such as a “blind restaurant” exhibit and a spelunking adventure, before turning to St. John of the Cross, the via negativa and the “dark night of the soul.” She discovers herself moving away from all she thought she grasped about God, toward a mysterious trust in the presence of God even when she feels only the absence of God. Learning to Walk in the Dark is a book about loss, but it manages to avoid being heavy or weighty. Sometimes, I even longed for it to feel a little more hefty. Instead, loss becomes a companion, like darkness, that we need not fear or carry as a burden, but journey with along life’s way. This book is full of all the richness Taylor provides, but without much of the depth of scripture study we have seen in her “churchier” works. It would find an easy home among the “spiritual but not religious,” while also opening new spiritual paths for those of us who stay within traditional religious life. I found wisdom, insight and joy in its pages. For my Epiphany sermon at St. Luke’s on January 4, I was inspired by the If You Give… children’s book series by author Laura Numeroff and illustrator Felicia Bond, best known for If You Give a Mouse a Cookie. If you don’t know this series, you’re missing out, and I recommend watching the video below to catch up. 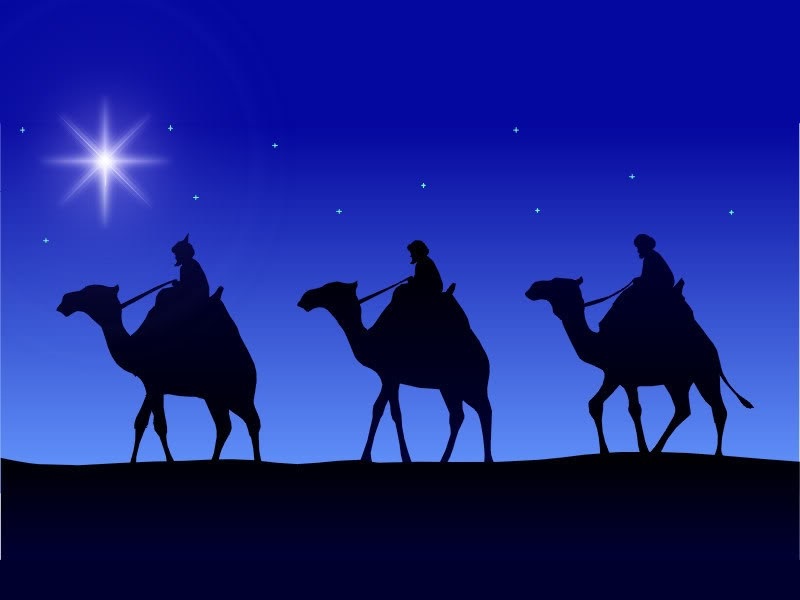 I noticed how the magi set out to do one thing–follow the star to a king–and ended up doing much more than they ever expected. Just like the mouse in the story, saying “yes” to a request from God often ends up to be a whole lot more complicated and involved that we expect. 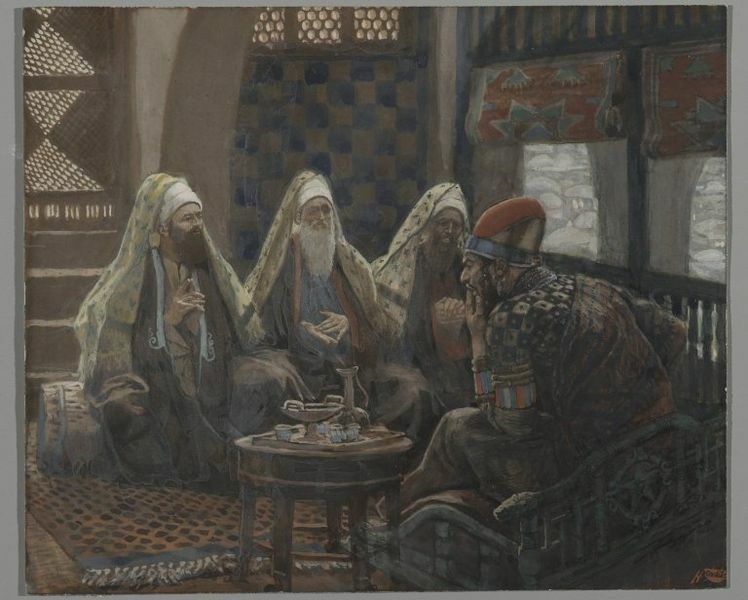 For the sermon, I read the congregation If You Take a Mouse to the Movies, a holiday-themed book in the series, and talked about the unexpected turns in the magi’s journey. 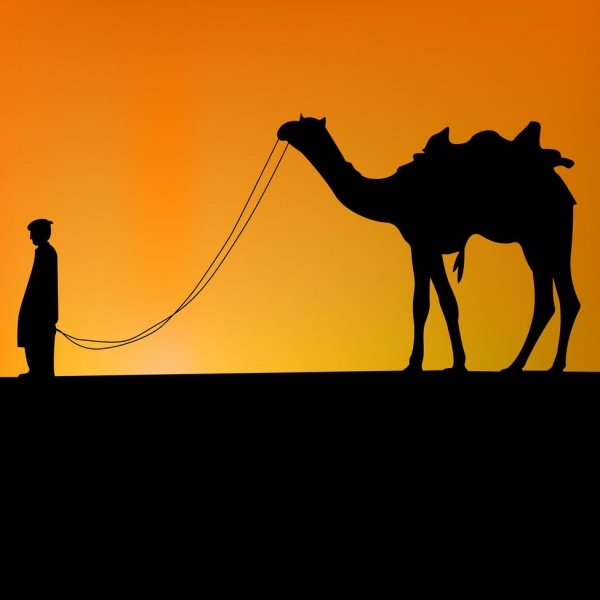 Then, inspired by Numeroff, I wrote my own Epiphany-themed version of If You Give… called “If You Go Where God Sends You.” It captures many themes from the magi, but also my own experiences with following God to unexpected places. I hope you enjoy it. You’ll probably follow a dim light in the distance. but you should go anyway. You’ll probably end up taking a few detours. You’ll probably take a wrong turn. so don’t fret about it. You’ll probably meet a few new people. You may encounter some new ideas. You might just find that your old ideas have changed. You might just find that you have changed. Some of people won’t like it, and you may discover they are unkind. God might just ask you to help stop them from hurting others. Chances are those unkind people are not going to like you very much. They may try to hurt you or hurt someone else. You’re going to have to listen to God even harder. God will probably tell you to go a different way. The light will eventually guide you to where you’re supposed to go. But when you get there, God might not provide what you expect. That it’s where you’re supposed to be. You’ll discover God’s light deep inside of you. You’ll want to give everything you have to God. You’ll think you have arrived where God sent you. You’ll notice a dim light in the distance.